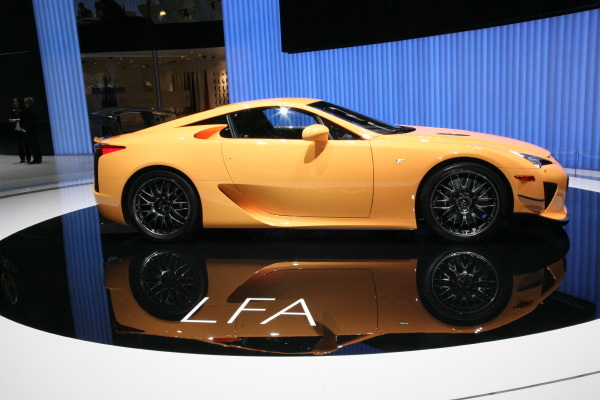 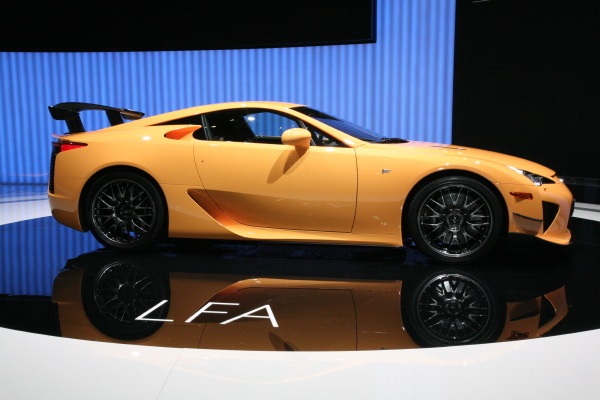 To begin with lets just get the pricing out of the way, a “base” Lexus LFA will cost you $375,000. 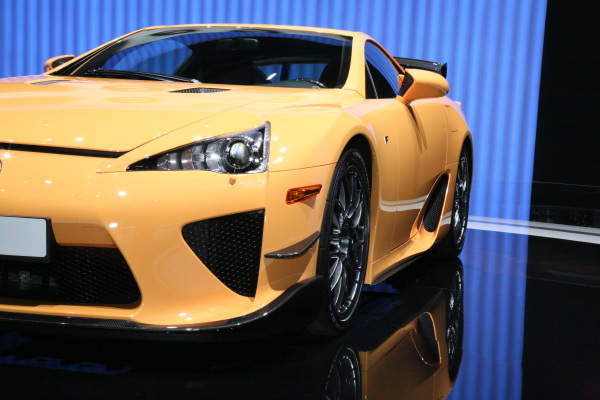 This special Nurburgring edition will cost an additional $70,000, assuming you don’t want it in matte black paint. 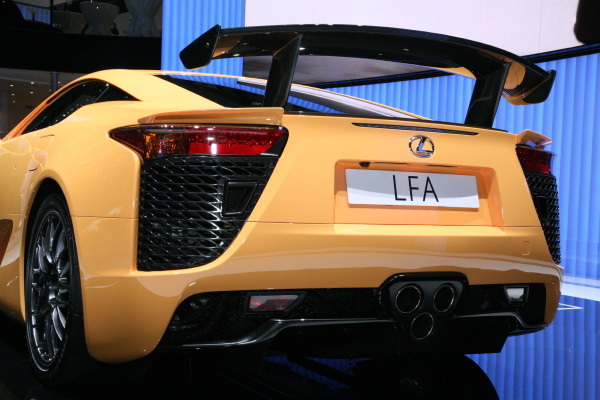 Stealthy paint costs $20,000 more. 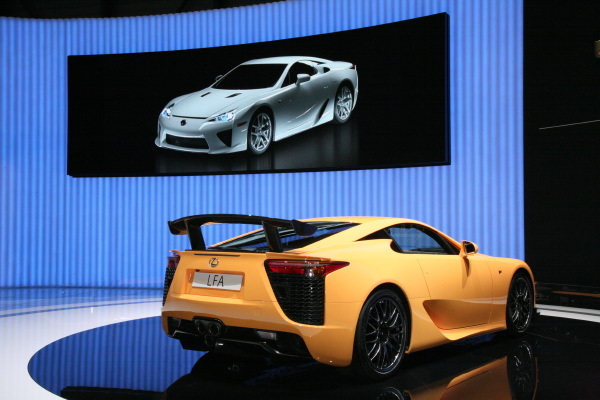 The 2012 Lexus LFA Nurburgring Edition was unveiled at the 2011 Geneva Motor Show. 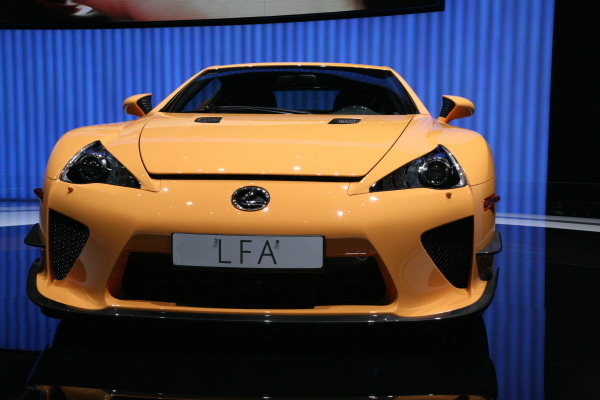 Of 500 LFAs being built only 50 will be adorned with the Nürburgring package. 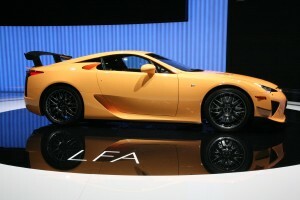 The package includes an additional 10 horsepower over the standard 552 from the LFA’s 4.8-liter V10. 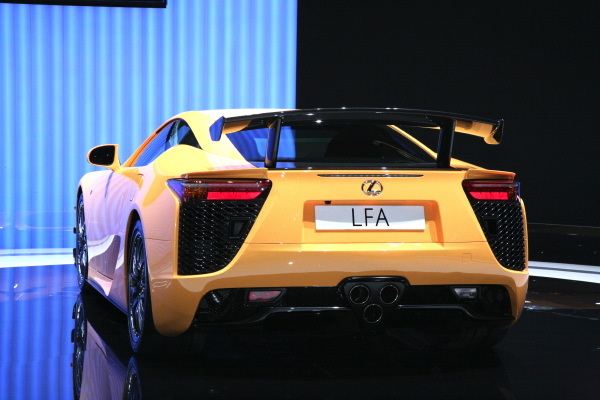 The additional horsepower does not yield a faster straight-line speed, but compensates for the Aerodynamic drag from the extra bodywork pieces attached for increased down force and high speed stability. 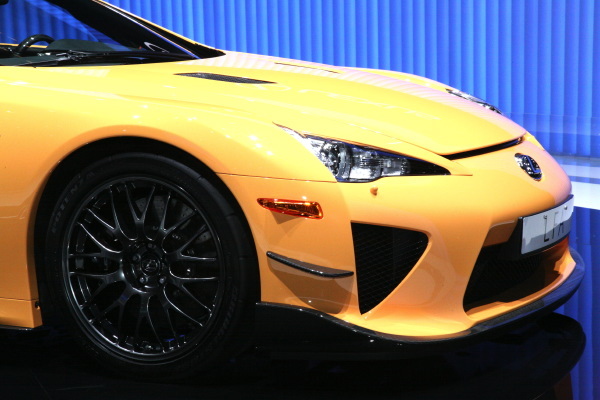 Looking at the vehicle you cannot help but notice the large rear wing as well as a few extra carbon-fibre trim pieces around the massive front spoiler. 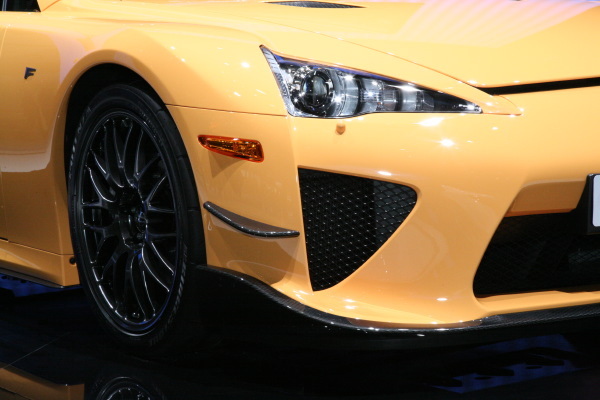 Obviously a vehicle named for the legendary German racing course comes with a special track-tuned suspension, special rims and track quality tires.